It’s highly recommended to optimise the ‘flow’ and overall impact of a website by providing the most ideal user experience. When having a new site created, redesigning or revamping your website, it’s essential to think how to present your services/offerings so visitors can quickly find content they’re looking for. Want a Free Web Design Quote? Call us today! 1 (800) 916 3864. The main menu is an important segment of your website’s overall design, and is commonly the place a user will turn to first when searching for the content that is relevant to them. On the account of this, not only should a menu look great, however, it should also link to all the major sections of your site and be easy to use. Because of the significance the main menu, it is obvious that various exceedingly advanced main menu plug-ins have appeared and these menus are known as mega menus. 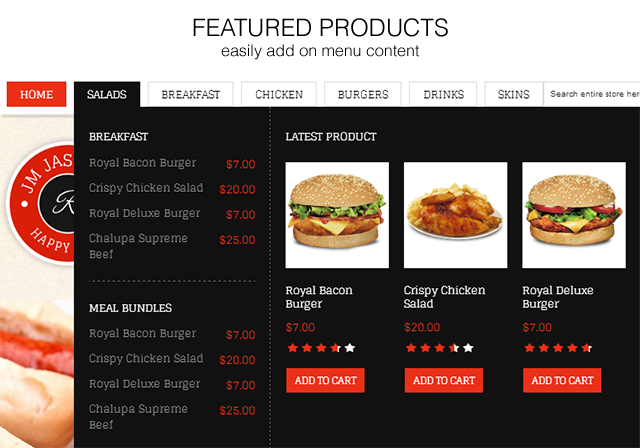 Mega menus have been supported by UX professionals for their ease of use, so it is no wonder that they have turned into the menu of choice for maximum retailers. Mega Menu is a highly stylish and advanced alternative designed to take the place of the standard main menu backed by every theme. Not only do they look awesome, but they improve navigation for users; they are no doubt the simplest approach to interlink and arrange a large number of web pages. The mega menu alternative provides you complete control over each part of the sub-menu, and also permits you to select distinct elements, such as incorporating tabs that connects to additional dropdowns next to links with images and descriptions. Mega menus benefit from the capacity to engage the users quickly during the navigation procedure. They are likewise viewable on every webpage which provides them the ability to give consistency all through the user experience and seamless integration across topics on the site. Mega menus permits visual and friendly grouping of alternatives into logical groups. Mega menus are intended to have icons or images that correspond to, and rapidly affirm for the visitor. Mega menus don’t conceal options with sub-menus; all the options are visible to users. Mega menus encourage the display of several alternatives all at once making it easier. They facilitate the visual emphasis of connections between items. This will assist guide visitors to the information they are looking for without overwhelming them in huge amounts of various things that they may not be interested in.